WHEATON, IL. -April 28, 2018 the DuPage County Fairgrounds (A Chicago Suburb) will host Zurko’s Midwest Promotions-Semi Annual NATIONAL CIVIL WAR-MILITARY and C.A.D.A. (Collector Arms Dealers Association) Show & Sale Now billed as – THE “CHICAGO SHOW”, it is one of the largest and finest for high quality and diversity in the Midwest or anywhere! 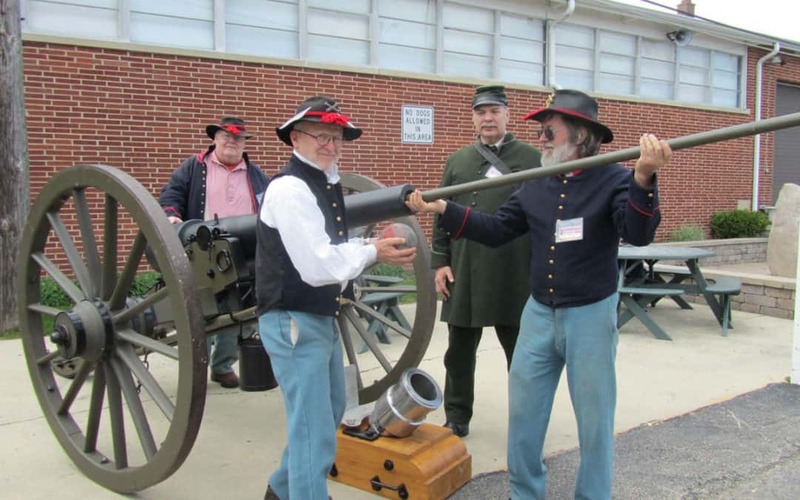 Collector’s from the United States, Europe and even Japan will again on this semi-annual event to buy, sell and trade cherished Historical Artifacts, vintage Militaria and a variety of Collector Arms. Now housed in 2- buildings with over 400 tables of treasures; THE “CHICAGO SHOW” offers a wide selection of vintage & collector guns, medieval to military swords, Bowie knives, Revolutionary War artifacts, Indian & fur trader collectibles, historical autograph and paintings, rare books, military medals, old bottles, tin types. Civil war era jewelry, and much, much more. Historian Don C. White will speak about women of the Civil War. We all know something about the Civil War, but did you know that women were soldiers, nurses, spies and held many other jobs as their menfolk, North and South, went to war? Many people have heard of Mary Lincoln, Varina Davis, Clara Barton and Harriet Beecher Stowe. Don will talk about a few of the women who did so much to help the war effort as they lived through one of the most trying times in our nation’s history. Robert Zurko promoter of this special National Event stated: THE “CHICAGO SHOW” is ideally located in the Midwest; as dealers & collectors can easily drive or fly to the show. As the show continues to grow; an additional building will be available for expansion, so dealers do not have to be put on a waiting-list again!! The next massive sale is SATURDAY April 28, 2018. Show hours are 9am to 4pm for only $9.00 for BOTH shows. Early buyers can get in at 8am for $25.00. Collectors are urged to come early, and plan to spend the day as buying is brisk and it takes hours to view the vast selection of treasures!